"What a helpful book! This will be a 'friend ' to many undergraduate students looking for clarification." "This is a great book that really helps the students understand research and the complex processes that can often daunt even the most intelligent students." "Few can bring research methods to life like Mike Atkinson. His breadth of research interests and experience mean he can introduce you to all you need to know and inspire you to get down to doing some research yourself." This book systematically demonstrates the significance and application of research methods in plain language. 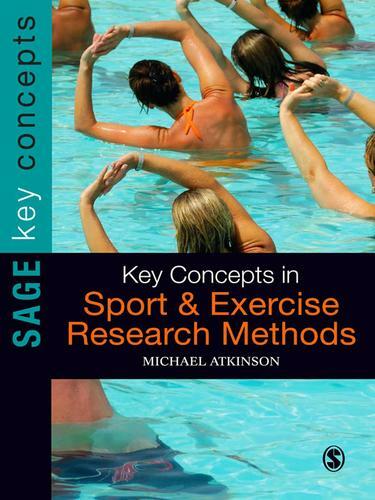 Written for students, it contains the core methodological concepts, practices and debates they need to understand and apply research methods within the field of sport and exercise. It provides a comprehensive panoramic introduction which will reassure and empower students. Pragmatic, lucid and concise the book will provide essential support to students in sports studies, sport development, sport and exercise science, kinesiology and health.